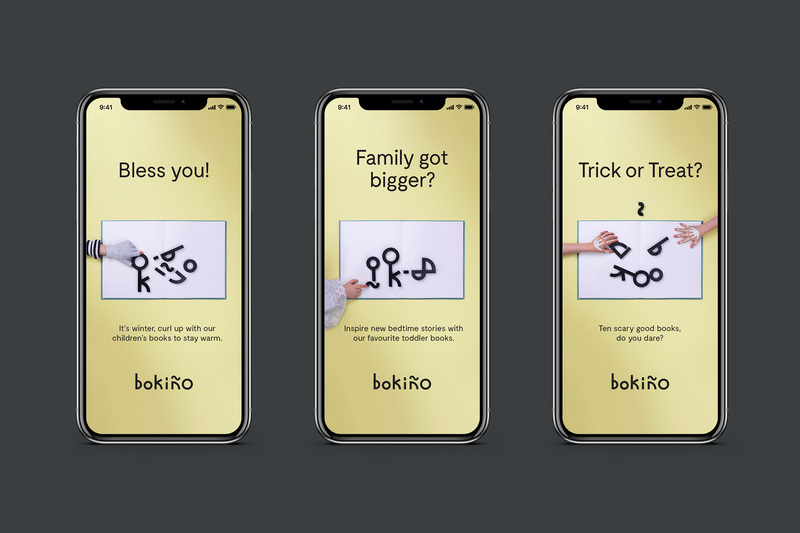 Launched this year, Bokiño is a new digital platform for children’s books created to serve as a source of inspiration for parents and everyone else who is looking for children’s and youth books for kids up to 12 years old. Bokiño, part of Albert Bonniers Förlag, Sweden’s largest publishing house, works by making book recommendations and linking them to Adlibris, the Nordic amazon.com, which is part of Bonnier AB, the Nordic region’s leading media company, which owns Albert Bonniers Förlag, which owns Bokiño, which owns an old lady who swallowed a fly. (That last part is not true). The new identity for Bokiño was designed by Stockholm, Sweden-based Bedow. 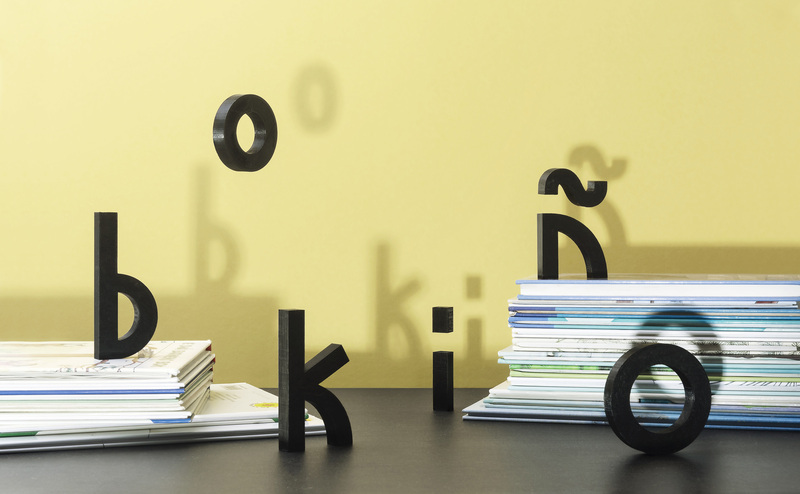 Bokiño’s word mark refers to the tagline - FOR READERS LITTLE AND BIG - where each lowercase letter has a different height representing children at various ages. Letter heights reference different kids age’s heights. The Bokiño symbol is entirely constructed by the six letters in the word mark. When the letters regroup THE SYMBOL shows two children at different ages holding hands. The same shapes that make up the logo shift to make the icon. At first glance, the wordmark has an evident playfulness that hints that this is about kids with its varying x-height and oversized tilde. The concept that the height variations are based on the height of kids as they grow makes it all the more endearing and the surprise that the letters turn into a small and less-small kid holding hands is a delight. Neither wordmark nor icon are exactly “pretty” but they have more personality than most pretty logos out there. 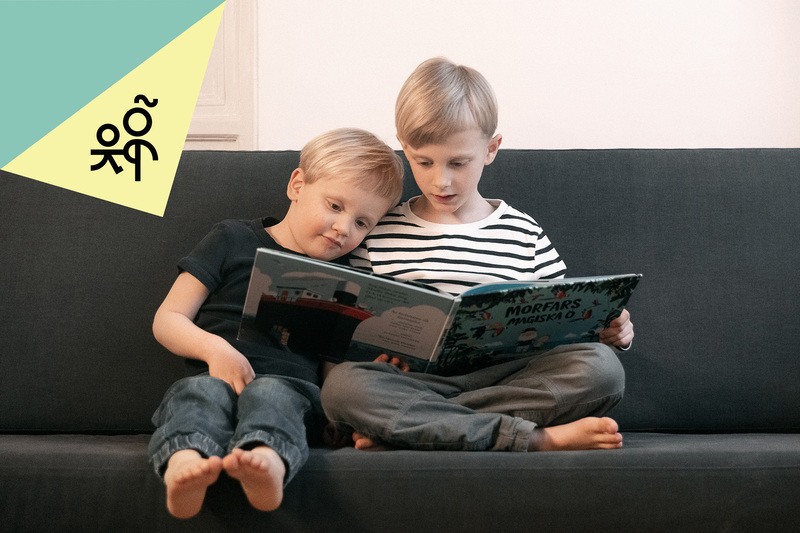 Using social media as their primary channel it was important to find a visual element that is easily recognizable, flexible and communicates books. The visual element refers to a classic DOG EAR - the folded down corner of a book page. Dog ear device on Instagram Stories. The dog ear device is pretty nice and I like that they didn’t add shading or shadows to keep with the simplicity of the wordmark and icon. It gives their Instagram account a fairly recognizable graphic device to catch people’s attention as they are swiping. 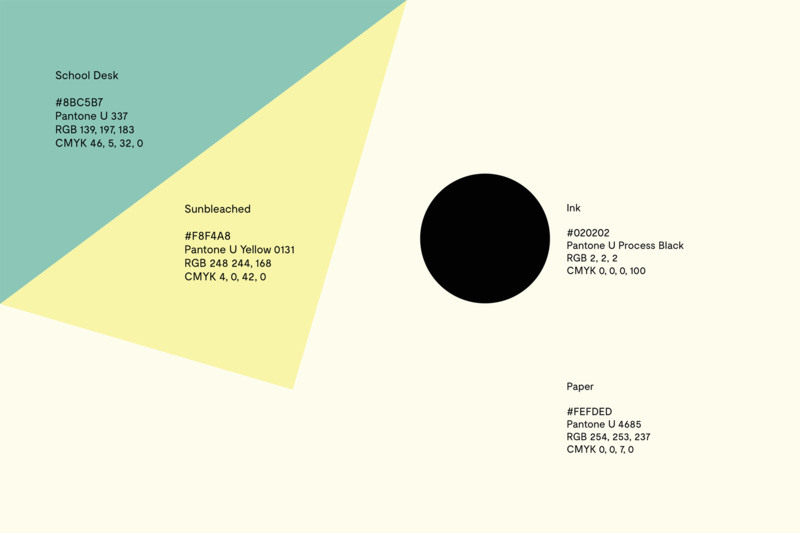 Overall, this is super charming, playful, and a nice respite from all the buttoned-up logos and identities we see. Sure, this isn’t the identity for a corporation or product on a shelf, with a huge responsibility, but even if a small hint of this kind of playfulness seeps into projects like that, it would be a win.